The early years are taught by the Class Teachers for most lessons. The emphasis is on a full and broad curriculum as appropriate at each age and on the many different aspects of Literacy and Numeracy, with additional topic work in History, Geography and Science. Each week these classes also have French, P.E., Art and Music with, from age seven, the Games afternoons. As the boys move up the School, classes are increasingly taught by the subject specialists. 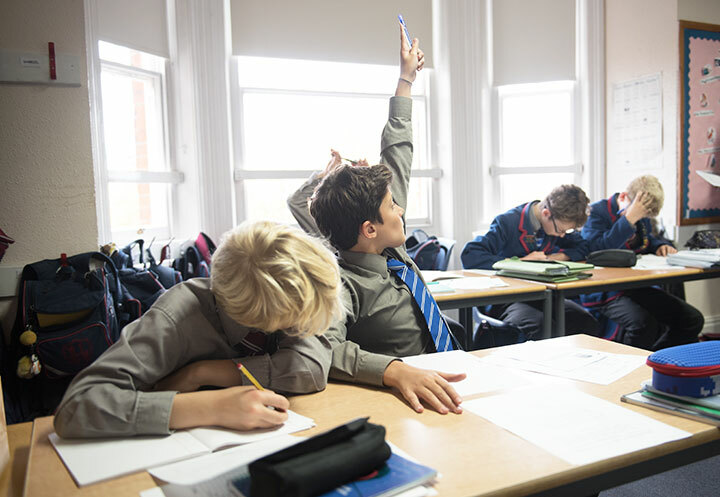 The School's dedicated team of staff includes Classroom Teachers and Assistants for the younger boys, and the Specialist Subject Teachers. In this way, the pupils' academic and pastoral needs are carefully met. Provision is also made within the staff for some individual help, should this, at times, be required. The curriculum includes Maths, English, Science, French, History, Geography, Religious Studies, Information Technology, Music, Art, P.E. and Games, with Latin from Year Five onwards. During the three senior years, the classes are split into smaller groups. Ancient Greek is also taught to the top group in the final two years, and Study Skills in the final three years. The School’s full Curriculum Policy is available to be viewed here.